Registered nursing programs prepare adults to care for the sick, injured, and aged. The extensive training, when combined with compassion and selflessness, makes for proficiency and success in the field. While the physician’s focus is on healing, nurses care for patients’ emotional and physical health. They build up patients’ hope and courage, share the pain and anguish of the family, and closely monitor patients’ response to treatments, which could be a lifesaving work in itself. The associate degree in nursing program is a pre-licensure program that prepares adults for entry-level practice as a registered nurse. Graduates are eligible to take the NCLEX for licensure by the Kansas State Board of Nursing. Although the KSBN accepts the ADN as the minimum requirement for licensure, employers and nursing associations are seeking to increase the professional knowledge of registered nurses. Therefore, the ADN should be a stepping-stone to the baccalaureate and other degrees in nursing. Nurses who are educated at the baccalaureate degree and beyond are prepared to use critical thinking to take swift action when the need arises. There’s been much emphasis placed on nurses’ education, but as you prepare to enter the profession, you should critically examine your personality to see if you have what it takes to succeed. You must be observant, empathetic, tolerant, selfless, and patient. A love for people, flexible, and selflessness are some other indispensible qualities that successful nurses exhibit. As caregivers, nurses may be in need of care themselves. Working 10 to 12 hours a day, standing long hours, bending, and lifting can be physically demanding. For this reason, nurses must be physically fit to manage the demands on their bodies. There is a multitude of good reasons to choose nursing. A desire to help others, a positive encounter with a caring nurse, a career that promises longevity and advancement, and the satisfaction or restoring health are just some reasons people choose this path. The joys of nursing overshadow the challenges and make patient care worthwhile. As long as humanity exists, there will be a need for nurses. According to the United States Bureau of Labor Statistics, employment for nurses is projected to increase 15% from 2016 to 2026, which is faster than the average for all occupations. The Associate’s degree in Nursing, or ADN, represents the minimum education a prospective nurse must complete to sit the NCLEX for licensure as a registered nurse. The program is available at community colleges and vocational schools across Kansas and consists of theory and practical training in a clinical setting. The ADN curriculum requires completion of 64 to 72 credit hours including prerequisites. Courses include human lifespan development, essential nursing concepts, mental health nursing, fundamentals of professional nursing, adult nursing, maternal-child nursing, medical surgical nursing, health assessment, and obstetric nursing. Hands-on practice in a simulated lab will give students the opportunity to put the theory into practical use and prepare for the direct patient care in a clinical setting. The clinical internship is an integral part of the ADN program. This portion of the program will be conducted at an off-site facility, such as a hospital, clinic, or long-term care facilities. During the clinical, students will develop patient care skills as they’re closely monitored by a member of faculty. At the conclusion of the program, graduates will be prepared to promote health, counsel patients in disease prevention, and develop, implement, and evaluate patient care plans. They will also be able to make critical decisions, offer emotional support to patients and their families, communicate effectively with members of the patient care team to reduce risks, and use best practices to improve the quality of care. Registered nurses work in hospitals, home health, long-term care, physicians’ offices, schools, clinics, and correctional facilities. 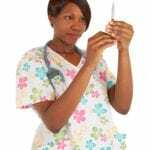 Enrolling in an associate degree in nursing program can be competitive due to the volume of interest in the program. A waiting list is not uncommon, but you can improve your chances of immediate acceptance if you complete the prerequisite courses and gain experience in healthcare through volunteer or paid hours in the capacity of a nursing assistant or other healthcare provider. Submit the application before the application deadline for the semester in which you plan to enroll. Some schools may employ a rank system to determine who gets admitted to the program. After acceptance to the program, you’ll need to submit documentation of meeting the health, immunization, and CPR requirements. You might also need to consent to a criminal background check and drug screen for participation in the clinical component of the program. The best place to start is to compare the costs at your local community colleges and vocational schools. Look beyond the advertised costs to see what is included in the tuition. There is a great difference in price between schools, with public schools being the most affordable. Prerequisite courses, shorter program length, and additional costs for uniform, textbooks, and supplies are just a few factors that will influence costs. Students need to budget for transport to the clinical site and nursing school supplies, such as white shoes, stethoscope, scrubs, liability insurance, parking permits, and other incidentals. It is mandatory that you have a license before you practice nursing in Kansas. You must not practice professional nursing in Kansas until a permanent license or temporary permit has been issued by the Kansas State Board of Nursing. Practice without a license is a violation of the statute and will be subject to prosecution. Holding a valid license from another state does not grant the privilege to practice nursing in Kansas. The application must be completed in full and submitted with the appropriate fee. Do not leave blank spaces unless the question is optional. Mail the original application – no copies will be accepted. Submit the application for the licensure exam and the application for the NCLEX at least 30 days before graduating from the program. List the anticipated date of the graduation on the application. Register with Pearson Vue and pay the $200 fee. Complete the application and submit to the Kansas Board of Nursing. Enclose the application fee of $75. Make check or money order payable to the Kansas Board of Nursing. Request a “test before transcript” from your nursing program, which will allow you to test prior to graduation. Request submission of your official transcript from the nursing program directly to the Board. The transcript must include your legal name, degree awarded, and date of graduation and degree earned. The nursing program may send the transcripts electronically to the KKSBN using Parchment or National Student Clearinghouse or mailed directly to the Board at the address provided below. The name used to register with Pearson Vue must be used to apply for the exam. Provide your social security number. You must have a social security number to obtain a license to practice. Complete a criminal background check. Contact the KSBN offices to request a fingerprint card and waivers to be sent via mail. You must also visit the KSN to have the live scan of your fingerprints done for an additional $7.50. The criminal background check fee is $48. Submit an explanatory letter regarding each conviction and/or disciplinary/administrative action. Indicate the date of criminal offense or disciplinary action, circumstances leading to the arrest or disciplinary action, actual sentence or board order, current status of the sentence or order, and rehabilitation – if any. The application for initial licensure will be active for six months while waiting for qualification documents. If the application expires, you’ll need to file a new application along with the appropriate fee. The Board will base the expiration date on the date of receipt. You may request special accommodations for the exam if you’re eligible. Submit the request to the Board within 15 calendar days of the application being submitted. Your letter requesting accommodation must be accompanied by documentation validating your need for accommodation. The documentation must include a written report of an evaluation (no more than 5 years) conducted by a licensed professional and indicating diagnosis of the disability, description of the disability, and recommendation of specific accommodations. You must also submit a written statement from the Nursing Program Director describing the testing accommodations granted while you were enrolled in the program. If you graduated from a foreign nursing school, you must submit your education and licensure credentials to the commission on graduates of foreign nursing schools (CGFNS) or another Board-approved agency for evaluation. If the nursing program was delivered in a language other than English, you must demonstrate proficiency in English by passing the Test of English as a Foreign Language and the Test of Spoken English or similar examinations. The report from the approved Credentialing Agency must be sent directly to the Kansas State Board of Nursing. After the CGFNS evaluates your education and registration credentials to determine that you meet the registration requirements for licensure as a professional, a CGFNS Professional Report must be sent to the KSBN. Results must be sent directly to the KSBN using the code number 9149 in the results reporting list. The applicant for licensure must write the NCLEX-RN for licensure in Kansas. If you’re licensed as a registered nurse in another US state or territory, you may apply for licensure by endorsement to practice in Kansas. Provide documentation of completed a professional nursing program in the United States or its territories or from a nursing program in a foreign country that is approved by the KSBN. The nursing program must have provided clinical experience across the lifespan that encouraged students to participate in nursing activities guided by a member of the faculty. Documentation of obtaining licensure by examination in another jurisdiction that utilized the State Board Test Pool Examination (SBTPE) or National Council Licensure Examination (NCLEX) as the licensing tool. Provide an Affidavit of Work Hours completed by your employer and notarized to validate that you have worked a minimum of 1,000 hours as an RN. The Affidavit of Work Hours is necessary if the nursing program did not document clinical experiences across the life span. 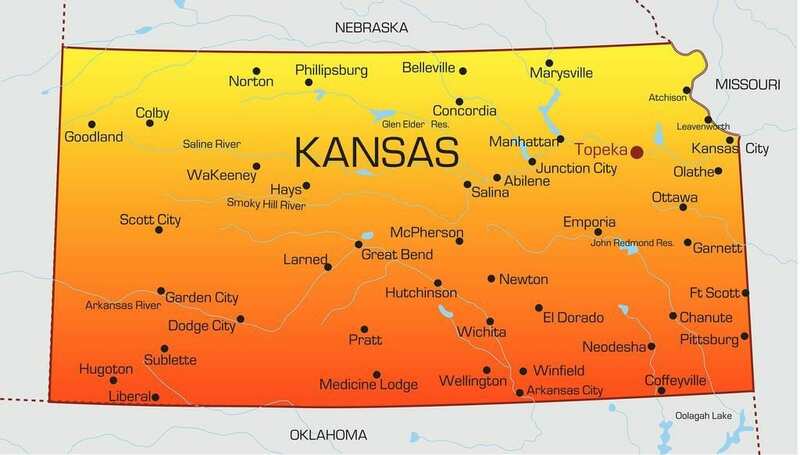 Your licensure as an RN in another state and practice of at least 1,000 hours as an RN will grant you eligibility for licensure by endorsement in Kansas. Request verification of your original nursing license. Use NURSYS if your licensing state participates or use the verification form if it does not. Proof of current licensure in another state. Your request for a temporary permit may be denied for several reasons. These include a criminal history, no social security number, disciplinary action taken by a licensing authority, or under investigation or disciplinary action pending in Kansas. Your Kansas registered nursing license will expire on the last day of your birth month in an odd or even year depending on the year you were born. You may renew your license online or by mail. To use to online renewal portal, you must create an account on ksbn.org. You may not be eligible to renew your license online if your license is Inactive or Exempt or you have not completed the required 30 hours of Continuing Nursing Education. Your license is still active on the date that application is postmarked. Renewal may take up to two weeks to process. You must complete 30 hours of approved Continuing Nursing Education every two years to renew your license. The CNE requirement must be completed before submitting an application for renewal. The CNE transcript must indicate the number of hours of approved CNE that you successfully completed. It must also clearly designate the CNE offering, provider name or name of the accrediting organization, number, offering date, and your name and license number. Retain a copy of your certificates to present in the event of an audit. The national shortage of nurses is projected to get worse as millions of aging baby boomers require more health care services. Demand and supply change constantly, but for the most part, there are not enough nurses to care for those in need. Across Kansas, hospitals are adding new wings to serve the baby boomer population. The next step is to find professional nurses to staff these areas. Employers are using creative methods such as sign-on bonuses, competitive salaries, and performance incentives to attract more nurses and retain existing ones. While many employers are expanding their capacities, others are limiting the number of patient beds to maintain adequate patient to nurse ratios to ensure quality care. In an effort to meet the growing needs for patient care, relieve existing staff from long shifts, and boost their workforce, employers are willing to hire and training ADN graduates. Another reason ADN graduates can be assured is employment is the number of nurses nearing retirement in Kansas. More than 36 percent of nurses are older than 55 and nearing retirement age. While some may adjust their schedules, the majority will leave due to burnout or workplace injuries. The retirement of hundreds of nurses will have a negative affect the workforce if employers do not have a pool of candidates from which to recruit. Nursing schools turn away hundreds of eligible candidates each year. Their inability to accommodate more applicants limits the supply of nurses available to fill the growing number of vacancies. Those who enroll and graduate from the program might receive extra support to transition to the workforce and incentives to continue their studies and climb the career ladder to leadership roles, administration, health care policy, and advanced practice. In Kansas, registered nurses earn an average yearly salary of $59,940.